The Everyday Messenger Bag from PeakDesign is by far the coolest and most well-built travel camera bag that I have ever purchased, and I don't say that lightly. It is a premium every-day workhorse travel bag for both DSLR and mirrorless photographers, and I love it. Every element of this camera bag is simply incredibly well thought-out. Because the designers of this DSLR bag are photographers themselves, they are well familiar with the common problems of carrying multiple items of crucial photography gear. Essentially, this bag sprung out of a need for feeling less clumsy. Check out the Everyday Messegner Bag in this video, and get a 10% discount that will be applied at checkout. Aside from just looking sleek and cool, the Everyday Messenger Bag just feels like a professionally made camera bag. Every zipper, pocket, strap, and seam are built to last (and withstand the elements). My one surprise when I received the bag was that it was a bit larger than I had anticipated, but given that it is expected to hold my DSLR, up to three lenses, a tripod, and all the extra gear, it makes sense. The ability of this camera bag to easily carry my tripod in a non-intrusive way, is a gamer-changer. Something that I have always struggled with in my travel photography, is being able to bring all of my necessary gear with me, while remaining lightweight and accessible. The worst thing I could imagine while traveling through an amazing foreign country, is to be fumbling with so much bags and lenses and gear that I am unable to appreciate where I am. This bag enables me to bring all the necessary components, access it easily, and then put it away and sling it back over my shoulder when it's not needed. This bag is incredible. 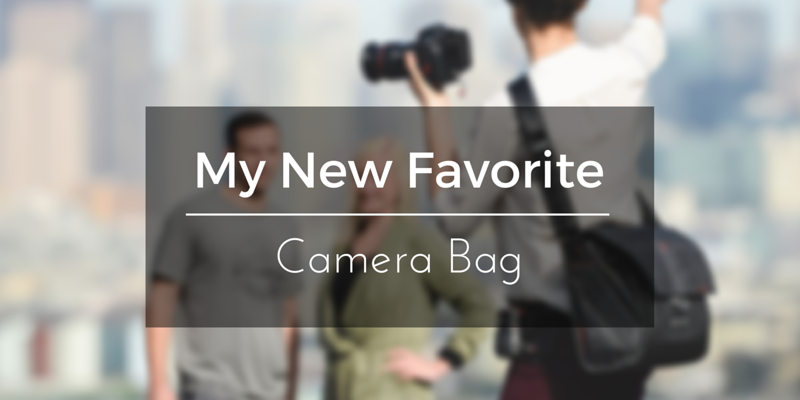 The build quality, and thoughtfullness of every element of this bag specifically for photographers, is really what makes this bag such a winner. I will be taking this bag on all of my travels, as it allows me to bring all my essential gear, without feeling over-burdened or weighed down. I highly recommend this messenger camera bag.